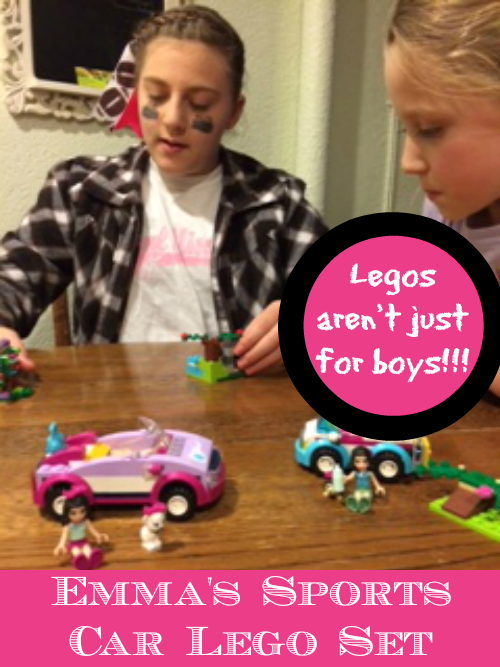 Hi, my name is Alyssa and I am a 12 year old girl, guest blogger, I want to tell you why I like the Sports Car Lego Set and why every girl should have one. I am the one in the picture with black under my eyes. It was football Sunday. 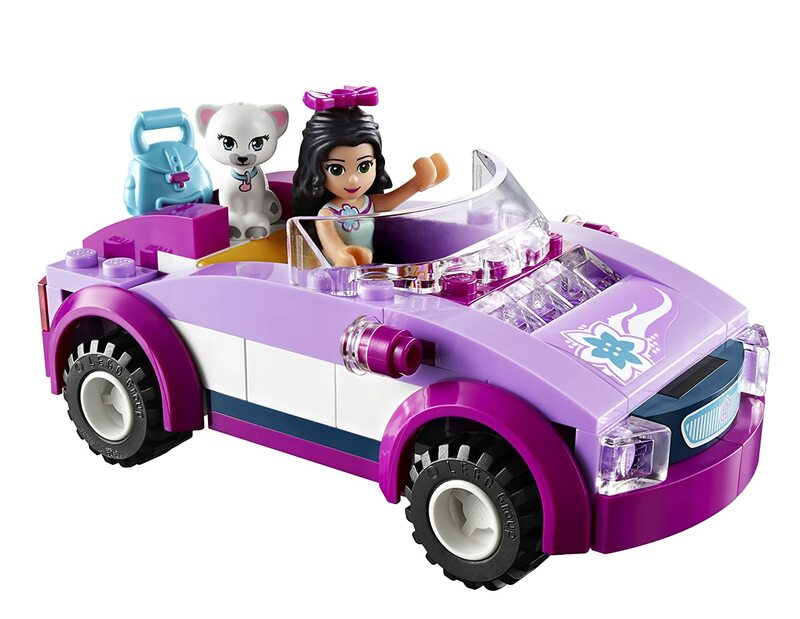 LEGO Friends Emma’s Sports Car (41013)Set is really cool and super easy to put together! In all these Lego sets there are pink bows to put on the Lego girl figures and also for the animals that come with the set. 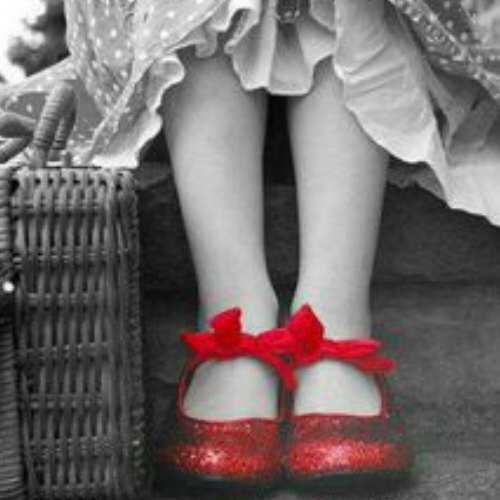 How cute!!!!! I think these Lego sets are good for ages 5 and up. The first time I got a Lego set I felt so cool and it made me want more and more. They are so much fun to play with. 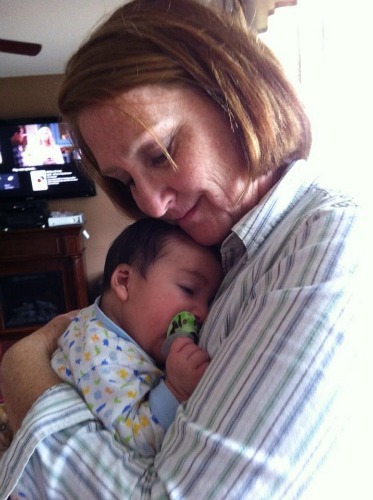 If your kid likes anything miniature sized, like me, they will have so much fun and love you from the moon and back! 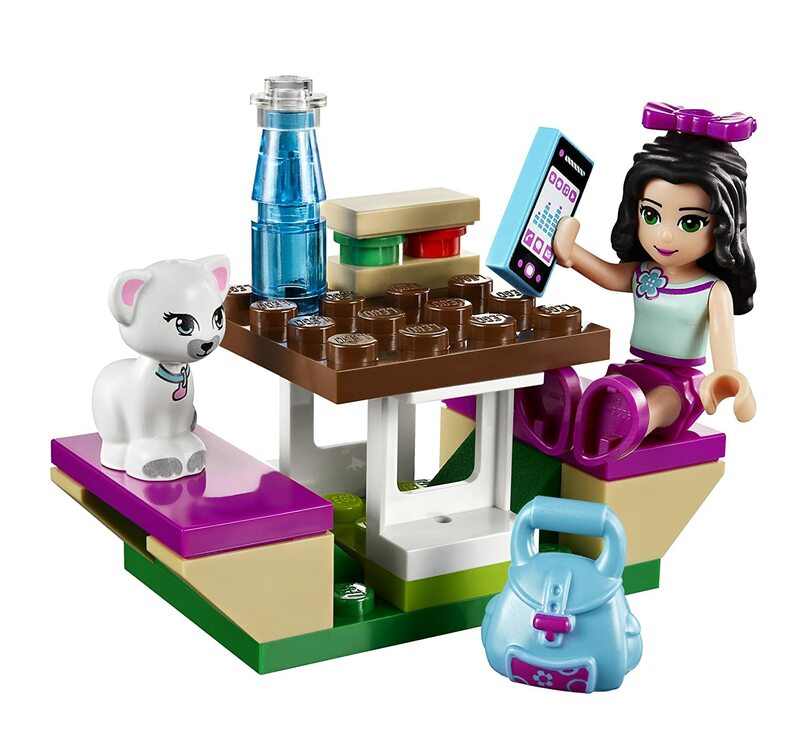 In this Lego set you get so many unexpected items with it such as a cute blue purse, an iPhone, decorative flowers, and so much more. 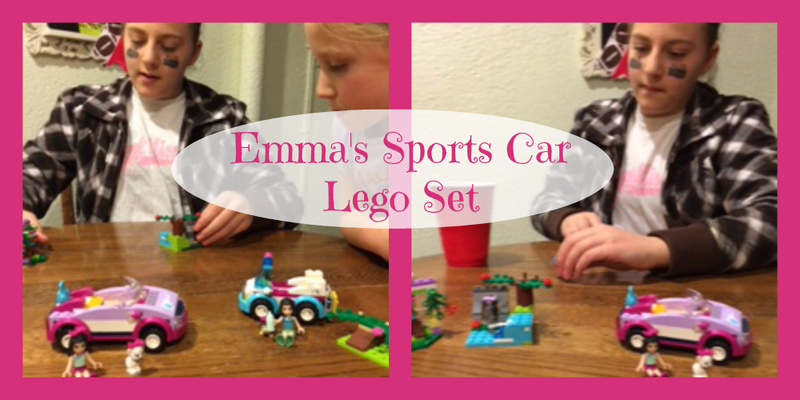 Emma’s Car Lego Set features an adorable pink and purple sports car with a windshield and rubber tires, along with Emma’s cat, a picnic table with benches, sandwich, banana, city map, bag, road sign and camera. 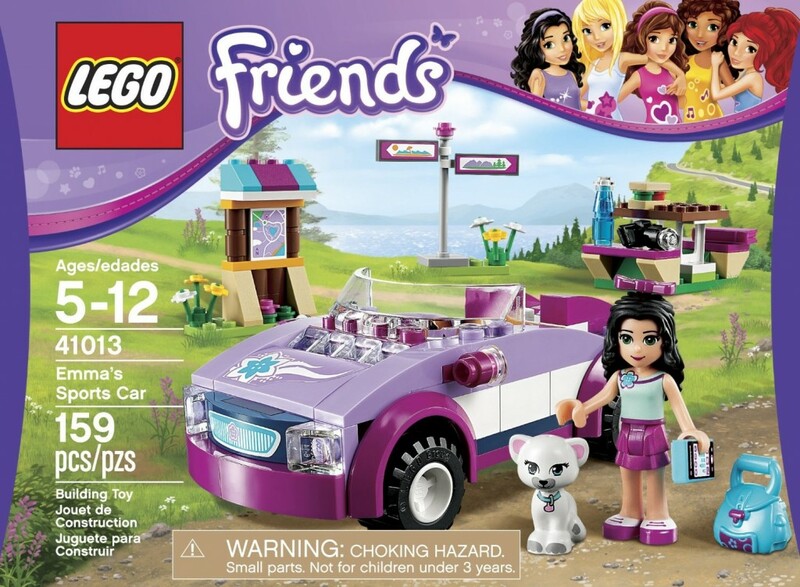 This set, as with all the Lego Friends sets, are compatible with each other. So start collecting all the sets and mix and match pieces to create new stories for Emma and her friends. Don’t freak out when you finish putting your Lego set together and there are some extra pieces. You can use them if you lose anything in the car, in the house, or anywhere else, which is really good to have because as you know, kids lose almost about everything! 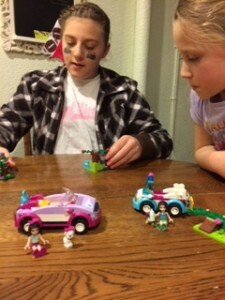 This is me and my sister playing with my new Lego set my mom just bought us. We are having so much fun! If you have two kids I would suggest you buy a Lego set for each of them because if you only buy a Lego set for one of your kids the other one will get jealous, TRUST ME! If you’re a parent and get tired of buying your kids toys, there are some cheap Lego sets for only about $5.00. These sets are smaller, but they are still really cute and it’s a good way to start your collection. So if your child really wants Lego’s you can teach them how to save their change and buy one for themselves. They will feel so big getting to pay for their own toy at the store. Most of the cheaper Lego sets have one or more animals in them. I love animals so I’ll just buy those for a while till I save enough money for a bigger one. So while your child is happy buying themselves Lego’s, you’re teaching your children how to be responsible and how to save their money for stuff they really want.